June 2016 - Patent my French! It seems that we will not be getting any UPC case law to comment on any time soon after all… In fact, some in the European IP profession have expressed quite a bit of distress at last week’s political upheaval. So I thought that today’s post had better be uplifting in order to curb current gloominess. 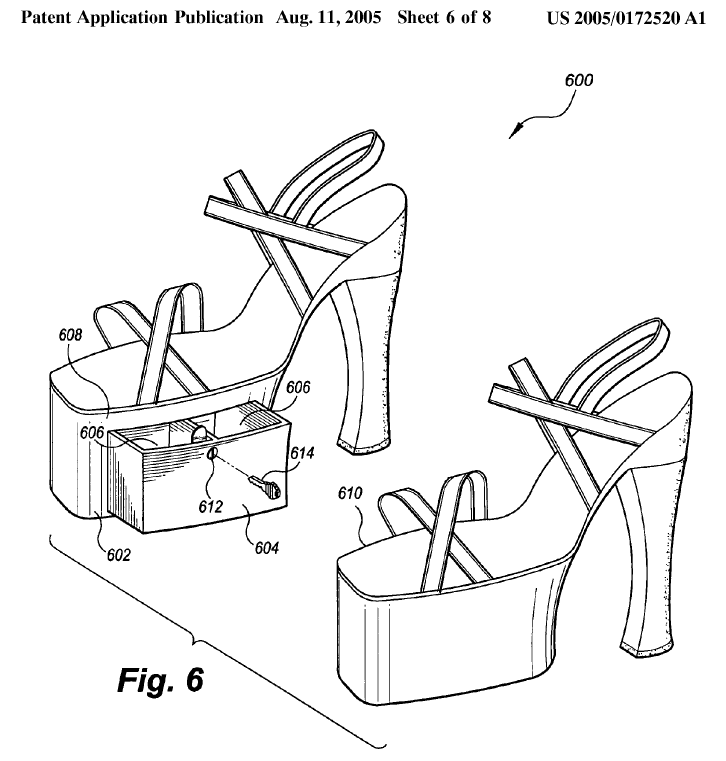 Unfortunately all that I have been able to find in terms of uplifting is… a patent case related to a lifting platform. Well, at least that’s something, isn’t it? So, cheer up and back to good old national case law! There are two different aspects which may be of some interest in today’s decision. One relates to patent substitution, and the other one relates to public prior use. But first things first with the basic facts of the case. FOG Automotive Distribution is the owner of a French patent No. FR 2896785 and of a corresponding European patent No. EP 1813568, claiming the priority of the French one. Or rather, was, as the company was liquidated during the litigation, its interests being then represented by the liquidator. Europe GMBH and Launch Tech, for, ahem, “launching” lifting platforms infringing the patent. At first instance, the Paris Tribunal de grande instance (TGI) held that the French patent had ceased to be in force but that the French part of the European patent was indeed valid and infringed. On May 27, 2016, the Cour d’appel confirmed most of this ruling and put an end to the case by directly awarding the liquidator a (relatively modest) amount of damages. Same filing or priority date. By way of analogy with the assessment of a priority claim, the most frequent issue is whether both patents actually relate to “the same invention“. In order to properly answer the question, you need to look at the claims and more particularly the main claims of both patents. Lifting platform, in particular for a motor vehicle, comprising at least one column (1), at least one carriage (2) which is movable along the at least one column (1), and designed to support the motor vehicle or part of the latter directly or by means of a support element, and means forming a locking/unlocking lock designed to lock in a given position the said at least one carriage or allow it to be movable along the column, the locking/unlocking means consisting of a rail comprising a plurality of slots (6) and means forming a locking/unlocking (20) catch, characterised in that along the at least one column there are at least two catches (20, 40) spaced apart from one another in respect of their height, the height dimension of the rail being approximately equal to the distance between the at least two catches (20, 40). Claim 1 of the European patent is identical but for the last underlined part, which reads as follows: “the height dimension of the rail being lower than the height of the catch (40) furthest from the base of the at least two catches“. […] The European patent was more specific than the French patent claim. The latter only specified approximately equal heights, while the European patent was more specific by indicating a height dimension for the rail which is lower than the height of the catch. […] Therefore, the first instance judges rightly held that FOG’s claims relating to the French patent are inadmissible due to the grant of the European patent on the same invention which results in the French patent no longer being in force. I think the conclusion is correct but the reasoning is not very accurate. Indeed, unless I missed something, I think it is the European claim which is broader than the French claim and not the other way around. The European claim merely recites a maximum value for the height dimension of the rail, whereas the French claim demands that the height dimension be approximately equal to a certain value. Therefore, it certainly makes sense for the European patent to fully substitute for the French patent. The most usual situation is for a European patent to be more restricted than the French priority patent. In this case, part of the broader French patent survives the substitution. But the present situation is different. Another form of platform: a platform shoe with a storage compartment. The application conveniently suggests to use this compartment for “keys, driver’s license, money, and other small but necessary articles”. The second point of interest in the decision is the novelty challenge raised by the appellant, which was based on an alleged public prior use. Launch Tech first argued that they had publicly presented several lifting platforms to the public before the priority date of January 27, 2006: some at a fair in Frankfurt in September 2004 and others at the Equip’auto fair of October 2005. As evidence, Launch offered photographs of the equipment presented at the fairs. Those were however quickly dismissed by the court, since their date was not proven. Then Launch made reference to a lifting platform referenced as TLTE 240SBA and delivered to a workshop in Dillenburg, Germany. 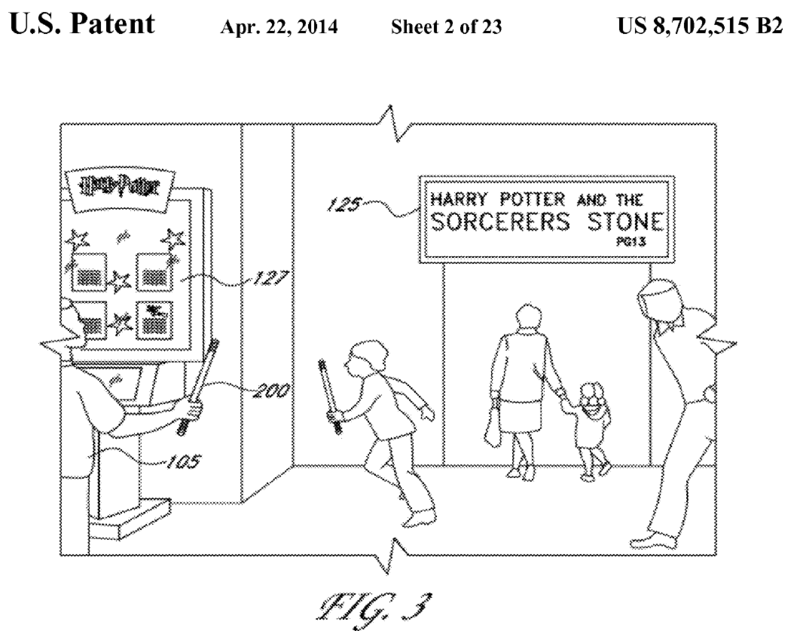 Launch filed a report written by a patent attorney. The patent attorney stated that he went to the workshop and took pictures of the platform. He noted the presence of a metal plate under the platform bearing the reference number TLTE 240SBA, the manufacturing date “2005/08” and the name and address of Launch Tech. […] He indicates that the information was engraved on the plate which was connected to the column and adds: “at first sight this is the original plate i.e. I do not think that it was replaced by another plate”. This indication is obviously an impression reported by Mr. T. which cannot prove the date of the lifting platform at stake and does not make it possible to retain it as prior art. Still concerning this lifting platform in the Dillenburg workshop, the alleged infringer also filed an affidavit by one of its technicians. The technician stated that he remembered delivering and putting the machine into service in December 2005. A copy of the corresponding intervention request was annexed to the affidavit. Again, the court rejected the evidence. First, the court noted a discrepancy between the platform reference number in the document in annex (TLTE 40SBA) and the actual platform reference number (TLTE 240SBA). An explanation for the discrepancy, though: the first number was an abbreviation for the second number, the missing figure 2 simply meaning a platform with two columns. […] Nevertheless this affidavit was drafted by an employee of Launch Tech; and it is also questionable because, although Launch Tech markets different types of materials and lifting platforms, he stated that he remembered the serial number of a platform sold in 2005 when he wrote the affidavit on May 2, 2014. As a final remark on this issue, the court blamed the appellant with simply stating that the claims of the European patent were anticipated by its platforms TLTE 232SBA, TLTE 240SBA, TLT 235SBA and TLT 235SCA, without explaining the differences between the models and without describing their specific features (including the catches). Consequently, the novelty challenge failed. So did the inventive step challenge. And the appeal judges also confirmed the first instance finding of literal infringement based on a bailiff’s saisie report of October 2011. Interestingly, the infringing platforms bore the reference numbers TLTE 32SBA and TLTE 40SBA, i.e. similar references to those used in the unsuccessful public prior use defense. So at least the fact that the alleged prior use apparatuses had all claimed features appears relatively credible – although it can always be theoretically contemplated that the design of a device with a certain reference number can change over time. In summary, the demonstration of public prior use in this country requires a high burden of proof – as in “Everest high” – just like at the EPO, although we do not use the warlike expression “up to the hilt”. On the one hand it is certainly very reasonable to demand absolute certainty when the patent proprietor has no personal knowledge of the alleged prior use and no access to the relevant evidence. But on the other hand, this situation can also be quite frustrating for a nullity plaintiff (or similarly for an opponent at the EPO). You sometimes get the feeling that actual public prior uses are impossible to rely on in practice because there will never be enough records from that time and because every document or affidavit can be criticized one way or another as being incomplete or doubtful. How a more fair balance could be reached is a tricky question. Maybe through greater resort to depositions of witnesses under oath? CASE REFERENCE: Cour d’appel de Paris, pôle 5, chambre 2, May 27, 2016, Launch Tech Company Ltd. v. FOG Automotive Distribution, RG No. 14/02829. Self-represented applicants, who draft and prosecute their patent applications on their own without an extensive knowledge of patent law have a good chance of getting a French national patent granted – this is in fact not an extremely difficult task. But they also run a very high risk of getting an invalid patent granted. One of my previous posts was dedicated to the revocation of what looked like one such patent, and today’s post is dedicated to the revocation of another one of those. 1. A set for praying comprising a rug, characterized in that it comprises weights at its four ends. They are made of metal or lead and are in the form of beads, or round or angular parts. The set is folded and put in a pouch. 2. A rug according to claim 1 characterized in that it is made of a waterproof material covered on the lower side with a silver or gold coating [I am not sure about the meaning of the French term used here] on its back. 3. A rug according to claim 1 characterized in that it is made [sic] of a drawing indicating the direction of the prayer. 4. A pouch according to claim 1 characterized in that it comprises adjusting seams in order to keep the rug folded. Globacom SARL is a company which markets Islamic products online, including prayer rugs. Globacom was sued for infringement of the above patent by the patent owner, Salmane SAS, as well as the inventor – who was the original applicant. Globacom counterclaimed for revocation of the patent. Their first argument was lack of novelty over an alleged public prior use of the invention. The court dismissed this argument which was insufficiently substantiated. Reference was made to a number of websites, but the contents of these websites were not submitted to the court, and the only examples actually filed did not clearly predate the filing date. Globacom also relied on prayer rugs advertised in catalogues, but these catalogues did not contain any precise description of the rugs. Lastly, Globacom mentioned the inventor’s own press releases. But the court could not identify any evidence of a disclosure before the filing date. There was a relevant publication in the issue of September 2008 of a magazine, but this was precisely the month in which the patent was filed, and the exact day on which the magazine was published was not known. Then the defendant raised an argument of lack of inventive step, which was successful. Unfortunately, the court did not cite in its decision specific prior art for all the claimed features. I can only assume that such specific prior art was indeed identified in the defendant’s submissions – to which the court referred to in the judgment. The folding, the waterproof material, the silver or gold coating and the presence of weights in order to keep the rug on the floor are indeed known functional parts. Besides, the folding and the drawing indicating the direction of Mecca are features introduced before the patent, as evidenced by catalogues of the Chinese company Huitai Carpet showing that as from 2005 a foldable prayer rug kept in a pouch was marketed notably under reference BT317 or BT301. Finally, when reading the patent it does not appear that the inventor brought any solution to a technical problem, except for transporting the rug so as to use it in any circumstance or place, which was already solved in the prior art by folding the rug and keeping it in a sleeve. Therefore the patent is a mere addition of juxtaposed functional means without any distinct result, so that the patent must be revoked for lack of inventive step. This is quite a change from the usual hyper-technical pharma or telecom cases. The reference by the court to “juxtaposed functional means” is reminiscent of old, traditional French case law, which made a distinction between mere juxtapositions of features and combinations of features bringing a new technical effect (synergistic features if you will). A more modern approach rather uses a reasoning akin to the EPO problem and solution approach. But this case was probably so simple that a problem and solution approach was not really necessary. Besides, the patent itself does not contain any indication of a problem to be solved. The description is less than one page long and basically contains a copy-and-paste of the claims plus a couple of additional sentences. So, what would have happened if the applicant had hired a professional to draft the patent application? Was there no possible patentable invention at all in this product? Could a better drafting have changed the situation? Difficult to say. Expert patent drafting is a necessary and insufficient condition for a valid patent. 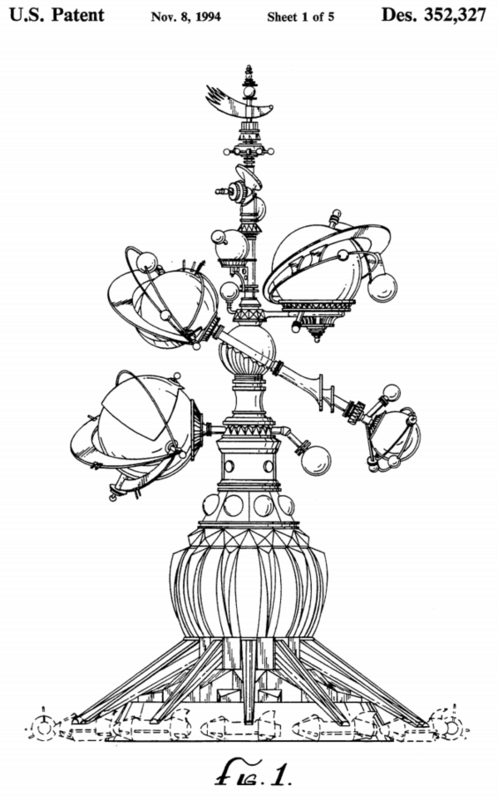 As a last word on the case, Salmane SAS further argued infringement of a community design, which was also revoked by the court for lack of novelty. A copyright claim also failed as the originality of the work was not clearly defined by the plaintiff. And so did a passing-off claim. 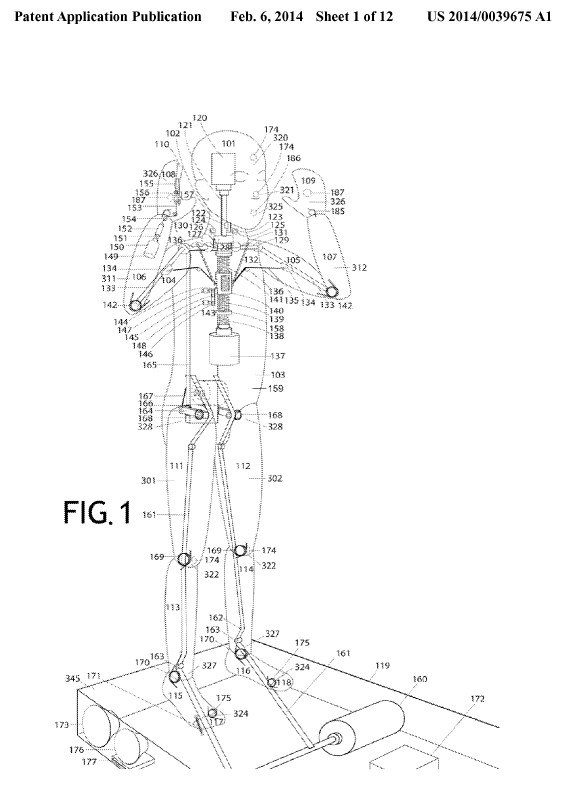 This demo praying robot may a more sophisticated invention than the foldable rug in suit. Some readers may wonder how on earth the foldable rug patent got to be granted by the French patent office in the first place. The answer is that the patent office is not supposed to perform an extensive screening process. It issues a search report and a written opinion, and then it is up to the applicant to decide what to do. This does not necessarily do self-represented applicants a favor. But for those who are fully aware of the specificity of French patent prosecution, going the national route can be really advantageous. In fact, while everyone’s attention right now is focused on European patents with or without unitary effect, it should not be forgotten that national patents remain a valuable option. French patents are much easier to obtain than European patents. Applicants often have to deal with minor objections of e.g. lack of clarity. But as far as prior art objections are concerned, an application cannot be refused for lack of inventive step. It can only be refused in case there is lack of novelty, and actually only if the lack of novelty is “blatant” (i.e. there is no room for discussion). Accordingly, prosecution is much cheaper than for a European patent (even when taking into account the need for foreign applicants to provide a French translation). The lighter examination process also makes it possible for applicants to avoid making statements which could possibly constitute a form of estoppel. A search report and a written opinion (for information purposes only) either similar or exactly identical to those issued by the EPO are provided at a much lower cost. There is no pre-grant or post-grant opposition. After grant, the patent proprietor can file a limitation of the patent at any time. It is thus a possible strategy for a proprietor to get a patent granted in a form which they know is probably too broad, and then limit the patent at a later stage if and when enforcement of the patent is contemplated (or even after the patent has been asserted and subjected to an invalidity challenge). Applicants have to take their full responsibilities when drafting and prosecuting a French patent application. They should not count on the patent office to make them amend the claims and they should not consider a patent grant as an indication that they have obtained the right scope of protection – as the case discussed above clearly shows. In terms of valuation, French patents may be perceived as weaker and thus less valuable than European patents. However, this approach is debatable; as explained above, to some extent French patents are stronger because they cannot be opposed, and they can be limited at any time if their initial scope of protection is too broad. It is not possible to enter French national phase via a PCT. Therefore, a French patent application needs to be filed either as a first filing or as a direct filing within one year from another, original filing. This is a huge handicap which puts our national patent market at a disadvantage with respect to other European countries such as Germany, where national phase entries are allowed. But that is the way it is. In summary, I do not believe that French national patents should be considered as useless remains of the pre-EPC, pre-UPC world. Together with Unitary patents, opted-out European patents and non opted-out European patents, national patents are yet another valuable option in an ever more complex IP landscape, which requires flexible strategies… Provided that great care is brought to the drafting. CASE REFERENCE: Tribunal de grande instance de Paris, 3ème chambre 3ème section, March 25, 2016, Salmane SA v. Globacom SARL, RG No. 13/06836. Last Monday was a day out for me, or more precisely an opt-out day, according to the title of a conference that I attended. The conference was offered by the UJUB (Union pour la Juridiction Unifiée des Brevets), an association which is itself a gathering of a number of organizations: AACEIPI, AAPI, ACPI, AFEP, AFPPI, AIPPI, APEB, ASPI, etc. – and those are just the ones starting with letter A. So, quite a number of acronyms, in this society dedicated to promoting the future Unified Patent Court (UPC). On the face of it, it may sound strange to spend an entire day discussing the opt-out, which is a very specific feature of the UPC system, basically addressed in one article of the Agreement and in one rule of the Rules of Procedure. But the truth is there was already a lot to be said on this narrow subject, which makes me think that we could spend many more days collectively diving into the subtleties of all the other UPC provisions. Another reason why the theme of this conference was a good idea is that whether or not to opt out European patents is probably the very first decision that all businesses need to make in view of the upcoming entry into force of the UPC. The full webcast of the conference (in English) can be found on this website and the slides can be found here. Otherwise, here is a personal summary of the discussions which took place. Main features of the opt-out. After a welcome speech by Pierre Gattaz, president of MEDEF (and thus the “boss of bosses” as he is often nicknamed by journalists), the session started with a presentation by Edouard Treppoz, Professor at Université Jean Moulin in Lyon. He explained that opting out is a possibility offered during the transitional period, per which the owner of a European patent may keep it out of the UPC system. In contrast, there is no opt-in, i.e. no way to make sure that a European patent will be tried by the UPC (and not national courts) – except by giving the European patent unitary effect. it is possible to withdraw an opt-out, but then it is no longer possible to opt out again. a European patent which has been opted out gets “locked out” of the UPC system (i.e. the opt-out can no longer be withdrawn) if a third party launches an action relating to this patent in front of a national court. Which actions are concerned by an opt-out? Only those actions explicitly mentioned in article 83 of the Agreement, namely infringement actions and revocation actions, or also other actions on which the UPC normally has jurisdiction, such as an action for declaration of non-infringement? Mr. Treppoz thought the latter should be correct, in view of the CJEU case “Ship Tatry” C-406/92. What is the duration of the opt-out? Until the end of the transitional period recited in Article 83 or for the entire lifetime of the patent? Again, the latter should be the right answer. Does the opt-out exclude only the exclusivity of jurisdiction of the UPC, or does it wholly exclude the jurisdiction of the UPC? Mr. Treppoz was again in favor of the latter, in view of the overall context. Last but not least, does the opt-out only relate to the jurisdiction of the UPC, or does it also exclude the application of the Agreement by national courts? The preparatory committee issued an interpretative note supporting the latter solution, i.e. in case of an opt-out national courts have to apply national law and not the Agreement. But Mr. Treppoz firmly disagreed with this approach. To him, it only makes sense if the opt-out is limited to jurisdiction and does not affect substantive patent law to be applied to the patent. The latter point was certainly the most interesting and challenging one in Mr. Treppoz’ presentation. As a reminder, there are some differences between substantive patent law under the Agreement and national patent laws. The Bolar exemption is probably the most famous one, but reference was also made e.g. to the decompilation and interoperability exception of Article 27(k) of the Agreement. What a day out should look like. The position of the industry. Next up was a panel of three industry in-house patent attorneys and one outside patent attorney discussing opt-out strategies. Among the three industry speakers, one was from a pharmaceutical company (Sanofi), one from a telecom company (Ericsson) and one from an electrical engineering / mechanical engineering company (Robert Bosch). a flexible strategy is required as opposed to a plan set in stone once and for all. All seemed to generally support the system and expressed the desire to influence UPC case law, while worrying about the risk of central revocation as well as uncertainties regarding e.g. the Bolar exemption, the extent of file wrapper estoppel, and the judges’ experience. Competitors’ behavior was also seen as an important factor in the decision making process. Robert Bosch’ spokesman was probably the most candid one, as he explained that his company is considering opting out only a minority of European patents, and more precisely the most important ones in the portfolio, i.e. those for which enforcement is contemplated, which are already licensed or for which licensing is contemplated. Pierre Véron, Neil Feinson (UKIPO) and Cristiano Morganti (form NetService, the company in charge of setting up the UPC IT system) then came on stage to discuss all practical details of opting out – which can be done only in electronic form with the UPC case management system. A licensee cannot file an opt-out declaration. Special provisions should be included in license agreements to make sure that there is no bad surprise for the licensee. Patent owners who are not registered as such on patent registers can file an opt-out together with a declaration of proprietorship. The opt-out will be effective immediately as the process is entirely automated so that the declaration instantly appears on the opt-out register. However, if an opt-out declaration is defective because a mistake has been made, the opt-out enters into force when the mistake is corrected. Some thoughts were offered regarding the sunrise period, i.e. the period of time before the actual entry into force of the Agreement and of the UPC system when it will already be possible to opt patents out – in order to avoid a surge of abovementioned preemptive strikes on day 1 of the UPC. One possibility would be for the sunrise period to start at the time of the 13th ratification of the Agreement which triggers a 3-month clock until entry into force. But the decision has not been made yet. Practically speaking, people will be able to opt out patents manually on the UPC case management system. Alternatively, it will be possible to opt out large numbers of patents in bulk using a machine interface. Concerns have been recently expressed regarding the security of the system, especially with respect to possible unauthorized / malicious opt-outs. At present, the system requires a valid email address and a valid cell phone number in order to properly identify users. Other, more sophisticated safeguards can be contemplated but could be too complex and expensive to implement, bearing in mind that the opt-out will finally be free, which apparently implies that it is supposed to cost as little as possible (especially in terms of staffing) for the UPC. Mr. Morganti attempted a live demonstration of an opt-out on the beta version of the case management system. And guess what… It did not work. Apparently the wifi was to blame. Ahem, if computer systems worked properly we would know it, right? (Sorry for this comment, but I have a score to settle with my own laptop). Alexander Ramsay, chairman of the Preparatory Committee of the UPC closed the morning session with a speech which was more political than purely technical. At that point of time, the elephant in the room was addressed – namely the Brexit. Mr. Ramsay stated that, while he was convinced that the UK would remain in the EU, if this were not the case then the UPC should nevertheless move forward. He also expressed the view that we would have to find a way to keep the UK on board. A question was asked about whether a plan or timeline was already under preparation in the event of a Brexit, and he answered that there was none that he was willing to share. The main event of the afternoon was a mock trial. Two teams of attorneys-at-law and patent attorneys pleaded in front of a judge-rapporteur played by Marie Courboulay, the senior presiding judge of the 3rd chamber of the Paris Tribunal de grande instance (TGI) – an IP-only chamber which in particular handles all patent matters in this country. The script involved the opt-out of a patent and a claim for revocation of this very patent in front of the UPC. The defendants filed a preliminary objection to the effect that the UPC had no jurisdiction due to the opt-out. The main issue at stake was whether the opt-out had been correctly performed or not. In fact, many problems were noted by the claimant: the secretary who had filled in the form had erroneously ticked the box “no” when answering the question “is the applicant a company/firm“; she had indicated a wrong address for the first patent owner (so that there was allegedly a doubt as to exactly which company was meant); the second patent owner was not mentioned in the initial opt-out and was added only later; and there were discussions as to who was entitled to declare what on behalf of the patent owners. A lot to deal with indeed. An informal poll after the pleadings showed that the majority of the audience was in favor of finding the opt-out invalid, and this happened to be consistent with Ms. Courboulay’s verdict. She explained that, although most of the errors that had been made could be considered as inconsequential, there was a fundamental issue of representation, since the secretary who filled in and signed the opt-out form was not allowed to act on behalf of the two companies, as a matter of national law. An interesting outcome and a serious warning to all stakeholders that they should pay close attention to the actual implementation of their opt-out strategy – especially because the opt-out process is purely declaratory, with no actual control or verification by the administration. By way of conclusion, Ms. Courboulay supported a recently made suggestion per which, during a certain initial period, the judge rapporteur should refer all important matters to the full court so as to allow case law to develop quickly in order to improve legal certainty. A final debate involved representatives from various associations making up the UJUB meta-association. Most remarkable were the statistics mentioned by the representative from LES France, which showed huge discrepancies in the current European patent litigation landscape from country from country as well as depending on the field of technology: for instance, the win rate of infringement actions in life sciences in Germany was said to be 80%, whereas that of infringement actions in chemistry in the Netherlands was said to be 18% only. Another example was the higher validity rate in France than in the UK and Germany in the field of electrical engineering and mechanical engineering. This was not directly related to the opt-out theme but very interesting indeed. Last but not least, a couple of words were said during the day regarding the possible location of the UPC in Paris. Although nothing is official yet, my understanding is that the Palais de justice on the Ile de la cité (where the TGI and the Cour d’appel are currently located, together with countless other courts) would be the winner. My personal view is that this would be a bad idea. This is a gorgeous historical place, great for sightseeing, but it is uncomfortable. The acoustics in particular are dreadful and I seriously doubt whether the building can be adapted to the requirements of a modern and multinational court such as the UPC. Hopefully there is still time for the authorities to reconsider. Sometimes litigation can get as complex as a game of chess. Each move by one party triggers a responsive move by the other party. France offers a large number of pieces to chess players, with different possible judges and various procedural rules depending on the nature of the claim filed at each move. And since legal actions sometimes seem to get a life of their own independently of the parties who start them, wizard’s chess would in fact be a more accurate depiction: this is the Harry Potter version of the game where animated pieces fight for real on the chessboard. Today’s decision is but one move in a wizard’s chess game. The ruling itself is relatively short although it tackles a couple of interesting points on the saisie-contrefaçon procedure. However, the overall context is quite complicated and by itself deserves a post to describe it. In this game, the white team is SPX Flow Technology SAS (SPX) and the black one is Pierre Fabre Dermo Cosmétique (Pierre Fabre) – that’s because the whites are those which move first. In 2009, Pierre Fabre hired SPX for developing a sterilization process for cosmetic products. This led to the sale of two sterilization installations by SPX to Pierre Fabre in 2011. The same year, Pierre Fabre filed a French patent application related to this sterilization technology. The patent was granted in 2013. SPX was not too happy-happy about the patent and therefore filed a declaratory action for non-infringement on October 27, 2014 in front of the Paris Tribunal de grande instance (TGI), in order to be able to continue exploiting the sterilization technology and to sell sterilization equipment to other clients. Two months later, on December 23, 2014, they celebrated Christmas by filing an additional claim against Pierre Fabre for ownership of the patent. The case management judge decided that the ownership claim should be decided on first, since depending on the outcome it might be useless to look at the non-infringement claim. After an oral hearing which took place on September 22, 2015, a first judgment was handed down on November 5, 2015, in which SPX’ claim for ownership was rejected. An appeal is apparently pending. Meanwhile, on July 17, 2015, Pierre Fabre sent a cease and desist letter to Cosmetolab, one of SPX’s clients, which had bought a sterilization installation from them. It seems that Pierre Fabre had learned about SPX’ dealings with Cosmetolab in the course of the TGI lawsuit. SPX immediately reacted to this letter by filing a disparagement claim in front of the Tribunal de commerce in Evreux (hometown to both SPX and Cosmetolab) on August 6, 2015, in urgency proceedings. Readers may want to refer to an earlier post in which I have presented some of the specifics of the French Tribunal de commerce and of its urgency proceedings – as opposed to the TGI to which we are more accustomed in patent matters. The judge in charge of urgency proceedings rejected SPX’ complaint. No appeal was filed. The cease and desist letter was obviously only an initial skirmish in the next battle, since Pierre Fabre then filed a petition for three seizure (saisie-contrefaçon) orders on September 1, 2015. This is an ex parte motion filed in front of one of the judges on duty in the Paris TGI. The orders were granted – as is normally the case, and Pierre Fabre accordingly proceeded with seizures on September 9 and 10, 2015, not only at SPX’ but also at Cosmetolab’s as well as Agro Hall’s, the research center hosting Cosmetolab on a campus in Evreux. In French patent law, a saisie-contrefaçon is a very usual mise en bouche – an appetizer before the meal consisting of the infringement lawsuit. In this case, since a declaratory action was already pending before the Paris TGI, the meal took the form of a counterclaim for infringement on October 7, 2015. In the meantime, further urgency proceedings were started by SPX against Pierre Fabre so as to protect some confidential documents seized at Agro Hall’s. However, the parties found a procedural agreement to move this part of the dispute to the main non-infringement case. Finally (for now! ), SPX filed a motion for cancellation of the three seizure orders on October 22, 2015. Cosmetolab and Agro Hall intervened. And this gave rise to the decision that I wanted to talk about today – which obviously plays a relatively minor part in the overall game: namely the order by a (single) judge from the Paris TGI ruling on the motion for cancellation. Don’t be mistaken, wizard’s chess is in fact no child’s play. The argumentation by SPX et al. for canceling the orders was twofold: Pierre Fabre was not entitled to file a petition for these orders, and they had acted in bad faith. The purpose of the motion for cancellation is to reintroduce the adversarial principle into ex parte proceedings […]; if the petition [for seizure] was granted, those concerned may refer to the judge who issued the order. On this occasion, the judge who authorized the seizure hears observations from the seized party or other concerned third party if the seizure did not take place in the premises of the alleged infringers, and he/she examines whether, on the day the seizure was authorized and in view of the explanations and evidence provided by those who request the cancellation, he/she would have issued the same decision, would have limited it or would not have issued it at all. – an extract from the national patent register showing that the petitioner is the patent proprietor as registered. In the present case, it is not challenged that [Pierre Fabre] filed such evidence with the judge who authorized the three seizures. Although the ownership of the rights was challenged in front of the court in the context of the ownership claim filed by [SPX], on the day the petition was filed [Pierre Fabre] was the owner of the [patent] and was entitled to file such a petition. The above quote confirms that it is pretty easy indeed to get a saisie-contrefaçon in France -this is clearly one of the strongest advantages of local practice for patentees. The second point in SPX and its partners’ argumentation focused on Pierre Fabre’s alleged bad faith. The point was developed in two parts: Pierre Fabre was disloyal because they hid information from the judge in charge of granting the seizure orders; and they distorted the seizure procedure as they were actually looking for other evidence than that needed to prove their infringement case. There has been a trend in recent case law to cancel orders for seizures when judges felt they had been fooled by bad faith litigants. SPX et al. attempted to follow the trend – but this time to no avail. The timing of the petition filed by Pierre Fabre was admittedly rather remarkable: the eve of the pleadings of the ownership part of the case. SPX said the petition did not mention that this oral hearing was about to take place. The judge replied that this was not an issue, as the various pending legal proceedings were mentioned in the petition, and practically speaking the judge who issued the orders for seizure was also the chair of the court dealing with the ownership and infringement case, so that she was well aware of the timing. Regarding the alleged distortion of the seizure procedure, SPX et al. argued that Pierre Fabre’s true agenda was not to find evidence of patent infringement but rather to intimidate Agro Hall so as to stop the business deal with SPX, and also to interfere with the then pending disparagement lawsuit in Evreux. […] [Pierre Fabre] filed […] an infringement counterclaim within the statutory time limit against [SPX], Cosmetolab and Agro Hall, which shows that their intention was really to sue the plaintiffs of the declaratory action. No disloyalty has been demonstrated, for the letter of July 17, 2015 is mentioned in the petition as a cease and desist letter to Cosmetolab, and a seizure was subsequently requested against this company. Finally and above all, the president of the Evreux Tribunal de Commerce has [already] issued the judgment against which no appeal was filed, so that the evidence collected during the seizures was not used in those proceedings. The orders for seizures were therefore not cancelled, and we can thus wait for the next move from one side or the other. On the one hand, the French patent has an equivalent pending at the EPO (with two divisional applications already filed). Now, in such a case, the court must stay the infringement proceedings (article L. 614-15 Code de la propriété intellectuelle) until the European patent is granted and substitutes for the French patent, or until the European application is refused, withdrawn or deemed withdrawn, or until the European patent is revoked. So this can take forever (especially if the divisional applications also need to be taken into account, which is an interesting legal question). But on the other hand, examination proceedings at the EPO were suspended as from January 29, 2015 due to the pending ownership lawsuit. At the present time, and pending resumption of the examination proceedings at the EPO, this looks like stalemate! CASE REFERENCE: Tribunal de grande instance de Paris, ordonnance de référé-rétractation, 3ème chambre 1ère section, February 11, 2016, SPX Flow Technology et al. v. Pierre Fabre Dermo Cosmétique, RG No. 15/15073.